The kinda big Reveal | What Rhymes with Stanza? I decided that if I’m going to barrage readers with daily posts, I’ll keep them short and sweet – well, short anyway. So my “theme” is to write a 5-7-5 poem each day (a poem in the form of three lines with corresponding syllables per line of 5, 7 and 5). Some would call it haiku, and haiku purists would be aghast if you called it haiku. So I’ll just leave it at 5-7-5. And in keeping with the alphabetical theme, each day’s poem will be on a topic beginning with the assigned letter, AND — just to make it even more challenging — each line of the poem will also begin with the letter of the day. Confused? Yeah, me too. But with April just around the corner, it will all become clear. I hope. Bottom line: One month (April), short posts, alphabetical, haiku-ish. This entry was posted in 5-7-5, creativity, Haiku, humor, poetry and tagged 5-7-5, April, atozchallenge, blogging, daily blog post, haiku, poetry. Bookmark the permalink. It’s my first time on the challenge and I am pretty excited and nervous. Liked you theme but it sounds quite ough. All the best. Thank you! Same to you! I look forward to seeing what you come up with. Mine is a travel based theme. Do check out my theme reveal too pls. Short and sweet makes it easier on the readers. 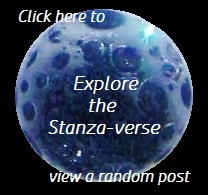 Sometimes my posts aren’t as short as they should be, but they aren’t haiku either. I’ve never tried doing an A to Z of poetry, but maybe one day I’ll try. Have a fun time with A to Z!